When it comes to renting (which is the case for so many Victoria residents – students and working folk alike), it’s difficult to get that personalized decorating style you’re looking for because you’re often not allowed to make changes to the space with paint, wallpaper, or architecture. This doesn’t mean, however, that you have to live in a dull and dreary space with no personality. You can add plenty of colour and character to your rental property through careful accessorizing. Most rental properties are painted in safe, easy-to-clean, neutral colours that don’t really have any personality to them – affectionately referred to as ‘builders beige’. The good thing about this is that you can choose any colour you like for your furniture, artwork, and accessories. The easiest way to add colour to any room is through the use of fabrics. Bright, bold colours can be added to the living room with beautiful drapes, slipcovers, throw rugs, and pillows. In the bedroom add interesting roman shades, bed covers, sheets, and lots of pillows. The kitchen can be spiced up with tablecloths, place mats, rugs, or chair cushions. Even that boring bathroom can be infused with colourful towels, shower curtains, and floor mats. If you really have your heart set on brightening up a boring wall without getting stuck with a damage fee, why not place some fabric directly onto the walls or onto a series of panels? Just like wallpaper, fabric can be applied to the walls, but unlike most wallpapers, it’s easily removed! Using a lightweight fabric cut long strips to be applied to the wall like wallpaper. Apply liquid starch directly to the wall with a paint roller and place the fabric on top of it. Smooth it out as you work from the ceiling to the floor. Using a brush, apply another coat of starch to the outside of the fabric and smooth it all down. Trim the edges and you’ve got yourself a beautiful fabric covered wall! When you’re ready to move, simply spray it with water and gently peeling it off. Wash the starch off with a sponge and your apartment manager will never know the difference! Another great way to add some well needed colour to your rental property without damaging the walls is to use decorative screens or unusual room dividers. Place decorative screens up behind a couch, against the wall, behind a bed, or as a room divider to break up an open plan. Look for screens that have removable fabric inserts and make your own that can be changed out with the seasons. Of course, you can also hang artwork, posters, and family photos on the walls to break up the monotony of a neutral colour scheme. Hanging pictures on the walls with removable adhesive hangers are a great option for renters. 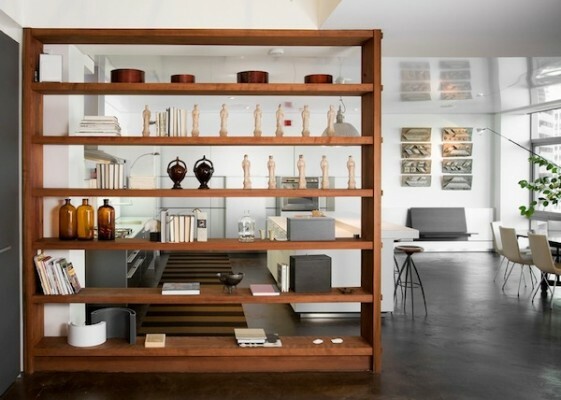 Add some interesting shelving units to long, bare walls and place some beautiful vases, books, or collectibles on them. With a little creative accessorizing, you can add colour, charm, and character to any rental space. Previous articleHow Many Ornaments Do You Need for your Holiday Tree?